For people suffering from low vision today, it often takes tenacity and perseverance to find an optical solution that allows them to optimize their remaining sight. Meg Zatorski knows this only too well. Afflicted with Stargardt disease (a common form of inherited juvenile macular degeneration), she spent a decade trying to obtain powerful enough high plus lenses to enable her to regain the ability to read. 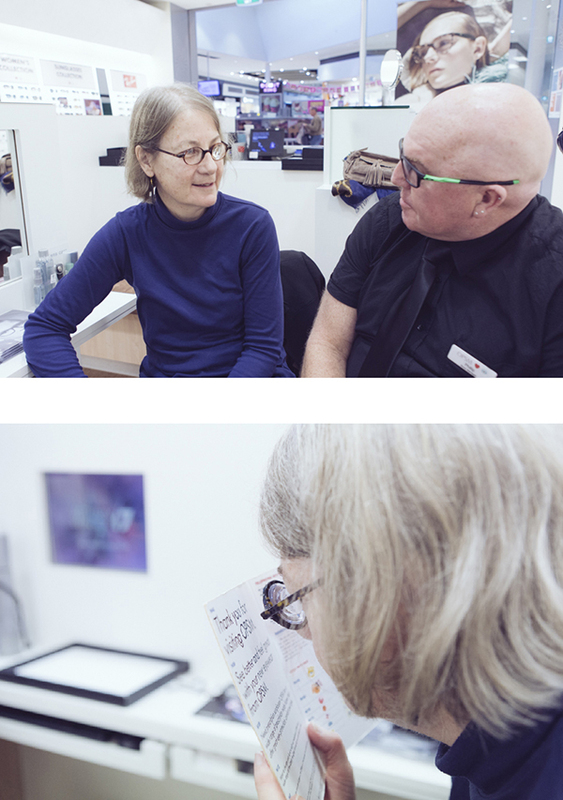 Essilor’s Stanislas Poussin and Anne-Catherine Scherlen recount how her challenge was met and what needs to be done so others like her can benefit from a solution that meets their visual needs. Low vision can be defined as a loss of sight that can’t be fully corrected by eyeglasses, contact lenses or surgery. Even with the best correction for ametropia, visual acuity for letters for such individuals remains low. According to the World Health Organization (WHO), 217 million people have moderate to severe vision impairment worldwide, representing just under 3% of the global population. Around 60 thousand people in France and seven million worldwide are estimated to have visual impairment that cannot be corrected by ordinary lenses and requires such special lenses. The WHO defines visual impairment as binocular acuity of less than 3/10, or +0.5 Log, with the best optical correction worn and/or a binocular field of vision of less than 20°. What this means is that individuals afflicted may find it difficult to carry out everyday tasks like reading, cooking, walking and seeing faces. Retinal pathologies can be the cause, degenerating either the center and/or periphery of the retina. If the center is affected, it impairs the individual’s ability to make out fine details (e.g. reading and leisure activities), whereas if it’s the periphery, the person’s field of vision will be impacted, making it more difficult for them when walking or moving. Scientific and clinical progress means caring for visually impaired patientsand implies following a specific protocol. It is crucial to first fit patients with the best optical correction for distance vision – whether for myopia, hyperopia and astigmatism – to provide the clearest image on the retina. Strong ametropia is not an uncommon result, and powerful lenses can be adapted to this, ranging from -100D to +70D. The next step is to adapt a system to magnify and raise the contrast. Magnifying is typically done by adding a lens with a high positive power, increasing the size of the image by bringing it closer. The patient sees clearly when the text is in the focal point of the lens. The power of the magnifying lens depends on the patient’s visual acuity and the desired final acuity. Patients generally appreciate this solution as they can continue to read normally, albeit at a closer distance. This can be combined with electronic magnifying devices. Aspects such as the visual benefit, ergonomics, use, esthetics and cost should be taken into account when adapting equipment to the patient. 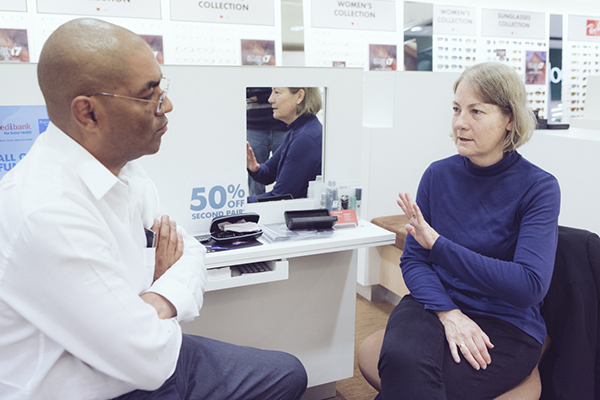 Figure 1: Mrs Zatorski explains her visual impairment to an optician and the way it affects her daily life (Australia). Inspired by its mission of improving lives by improving sight, Essilor has drawn on its 150-year history of crafting lenses to find solutions for every individual, no matter how complex their visual problems may be. Despite also manufacturing a wide range of standardized lenses, Essilor for its part has been manufacturing special lenses since the turn of the 20th century in its Les Battants plant in Ligny-en-Barrois in eastern France. No less than 90 expert craftsmen use their unique know-how to develop effective solutions for patients with high ametropia, specific pathologies and other special visual needs. They aim to help eye care professionals better support the needs of individuals with extraordinary problems, who require special lenses to correct their vision. In 2014, Essilor created a business unit specifically dedicated to crafting exceptional lenses for the visually impaired, the Special Lenses Laboratory (SL Lab). Essilor’s SL Lab has a team of people dedicated to designing and manufacturing special lenses. These are often made by hand and require many hours work by a specialist, combining the latest optics expertise with specific manufacturing techniques to create a truly personalized solution. In June 2017, the SL lab received a special request from Essilor Australia that pushed even its outstanding expertise to its limits. Meg Zatorski lives on the southern coast of Australia and suffers from Stargardt disease, a genetic condition that is the most frequent form of juvenile macular dystrophy. The center of the retina degenerates as the disease progresses, forcing the individual to rely on the peripheral part of the retina for up-close vision. As a result, images and texts have to be significantly magnified. Many people with Stargardt use electronic magnifying devices, which are essentially tablets that display the magnyfying image directly on the screen. However, this significantly limits the individual’s freedom of movement and changes reading strategies. Meg’s case is particularly illustrative. For 16 years she had tried to get by with +40D lenses. As her condition worsened, she became unable to read things such as phone dials, labels and other small print. Consequently, she took to using a special +10D power (2.5x) hand magnifier with a reading light. Combining this with her glasses resulted in 12.5X magnification and helped her to continue to use her up-close vision. However, it was still not enough magnification power to enable her to read. On top of this, not only did it mobilize her hands, but it began to cause pain in her shoulders. She spent 10 years trying to get eye care professionals to make more powerful lenses for her, but the answer she got was always the same: It isn’t possible. It was as if the optical industry was convinced that a lens that magnified more than ten times – like the +40D lens – could not be used in eyeglasses. "With the groundbreaking +70D lens, Essilor has rounded out the optical offer for the millions worldwide who live with hyperopic ametropia or who need specific image magnification for near activities." After years of struggling and confronting indifference, Meg decided to visit an ophthalmologist again. Although this time the eye doctor was able to estimate that a +70D prescription was what she needed, to her dismay he again told her that such a lens did not exist. Undeterred and motivated, Meg decided to ask local opticians if they thought it were possible to make such a +70D lens. And this is when Meg had the good fortune to meet Philip Fox, an optician in Bateau Bay. He listened to her odd request and accepted to enquire with Essilor Australia, who immediately contacted the SL Lab in France. Before Essilor crafted the +70D lens, the most powerful magnifying lens made by Essilor was a +52D. The first major challenge in realizing the exceptional technical feat of a lens that magnifies objects 17.5 times – almost twice that of the +40D lens – lay in calculating the power. For this, Essilor relied on its Special Lens Calculator, which allows its technicians to simulate optical surfaces with extreme power and ultimately create ophthalmic lenses. The SL Lab team quickly realized that to achieve the required power it wouldn’t be able to make just one lens; instead, it would have to polymerize two lenses together, combining several sides. This required specific precision calculations for each lens regarding the curvature of each front and back side, as well as the shape, volume, weight and thinness. Additional calculations for the final lens then had to be made to ensure the frontal power was indeed +70D. A total of four surfaced sides were necessary to create the final lens: two convex sides surfaced to create the base bi-convex lens, plus two surfaced sides assembled in a smaller diameter lenticular lens polymerized onto the base by way of a special glue. This latter lenticular lens is extremely powerful, providing +41.75D, or 60%, of the final prescription. 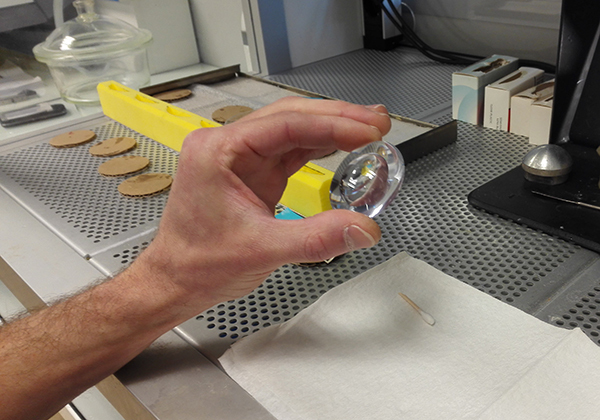 Figure 2: Prototyping process of the +70D lens for Mrs. Zatorski in SL Lab - Special Lens Laboratory (France). 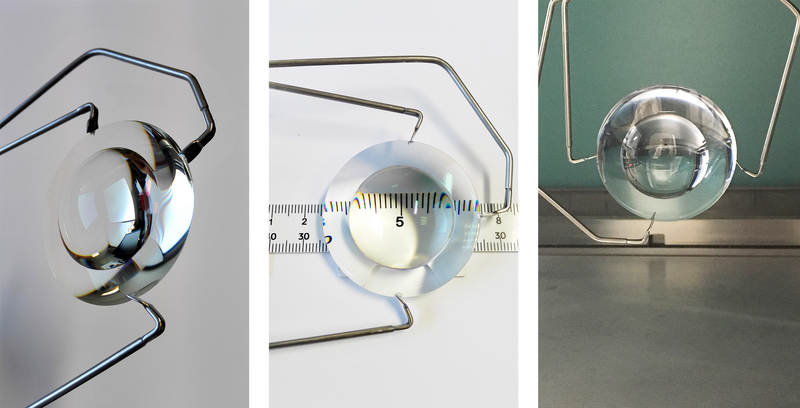 Figure 3: Prototypes of the +70D lens before edging. Because of the exceptional power of the assembled lenses, the team had to strike a compromise with respect to its shape and weight so that it could be fitted relatively easily into an eyeglass frame and remain at a close distance from the globe of the eye and lashes. It also had to be compatible with Essilor’s latest generation of high-index lightweight and thin lens material, anti-glare and scratch-resistant coatings and its Crizal® Prevencia® treatment, which protects against blue-violet light and UV rays. This was a particular challenge for two reasons. First, normally when several lenses are melded into one only standard-index lenses can be used. Second, the protruding shape of the lenticular lens makes it particularly difficult to apply anti-scratch coatings. 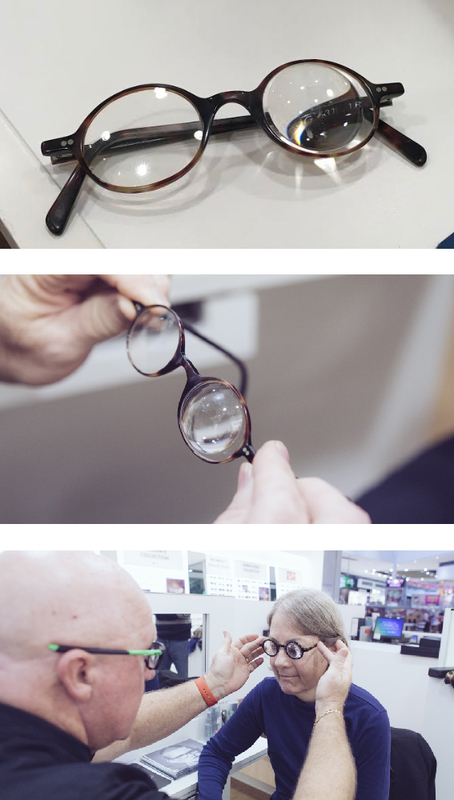 Figure 4: The +70D lens mounted in Mrs Zatorski's frames and the delivery of the custome-made eyeglasses in optical store in Australia. Despite these difficulties, the SL Lab managed to create a lens compatible with its coatings and the Crizal® Prevencia® treatment. The end result of the entire process is eyeglass lenses perfectly suited to the demands of contemporary life. In Meg’s own words, they have quite simply changed the quality of her life. The implications of this breakthrough are significant. Lenses that previously were designed to correct, protect and, more recently, prevent (e.g. Crizal® Prevencia®, which protects against harmful blue-violet light) can now be designed to magnify images. This can be beneficial to millions of people across the globe, particularly seniors. Moreover, it is a testament to the expertise of the SL Lab team, which has achieved two other industry firsts in recent years: a -108D cyl 6.00 lens for Ian Miskovic, a photographer in Slovakia, and a +35 D prism lens for a Mr. Ptacek in the Czech Republic. Follow these links to read more about Mr. Ptacek's case : https://www.essilor.com/en/medias/news/prism-35d-story-unique-custom-made-essilor-lens/ and Mr. Miscovic's case : http://www.pointsdevue.com/article/record-high-myopia-solved-alliance-experts-108-d, http://www.pointsdevue.com/article/practicing-art-photography-108-d-myopia. Figure 5: Mrs Zatorski testing her new custom-made eyeglasses and the +70D lens with a reading test in near. Beyond the actual technical prowess required to meet the challenge of crafting such a powerful lens, Meg’s case highlights the need for more awareness of the optical solutions that exist for the visually impaired within the optical industry chain, from ophthalmologists and optometrists to lens makers and opticians. Currently only one in ten opticians and optometrists worldwide deals with low vision patients. The optical industry clearly stands to benefit from directing patients to medical centers specialized in extreme ametropia and low vision, with links to special lens makers. That the lenses now available can change the lives of people affected with extreme ametropia and low vision there is no doubt. The 85% of patients who are not equipped with the best suitable lenses should not be deprived of the opportunity to substantially enhance their sight and daily visual experience. If Meg’s story shows anything, it is that it is possible to improve the sight of millions of visually impaired people around the world. Rather than saying ‘no, it is not possible’, practionners should be asking specialized lens manufacturers whether high power lens are available. Chances are the answer will be a resounding ‘yes’. • With the groundbreaking +70D lens, Essilor has rounded out the optical offer for the millions worldwide who live with extreme hyperopic ametropia or who need specific image magnification for near activities. • Retina pathologies (e.g. age-related macular degeneration [AMD], glaucoma and diabetic retinopathies) impact quality of life and autonomy levels through loss of visual acuity, contrast sensitivity and visual field. • In addition to wearing the best eyeglasses to correct ametropia, patients with Low Vision have to adopt specific optic and/or electronic devices to magnify images and increase contrast sensitivity to continue everyday activities. • Opticians and optometrists worldwide need to be made aware of Essilor’s -100.00D to +70.00D Special Lenses range available for those who have exceptional vision needs. • The one-of-a-kind lens is compatible with Essilor’s high-index lightweight and thin lenses, allowing for the latest in anti-scratch and anti-glare protection and the use of the Crizal® Prevencia® blue-light filtering coating. • Essilor’s special lens service is grouped into two offers – a pre-defined range of lenses from -40D to +30D and an on-demand service creating custom-made solutions. Both aim to help eye care professionals better support the needs of individuals with extraordinary problems who require special lenses to correct their vision. • Essilor’s special lenses range received an excellence award at the 2017 Optical Distributors & Manufacturers Association of Australia (ODMA) fair in Sydney, Australia in July 2017. • Essilor offers a training program to advance industry understanding of the power and possibilities of special lenses and enable eye care professionals to improve eyesight, whatever the visual needs they encounter. • Through this, Essilor, its network of partner labs and independent eye care professionals can show they have the expertise to find the right solution for every wearer, even those with highly complex visual needs. • The visually impaired have extremely low visual acuity that is often linked to certain severe pathologies, such as AMD, diabetic retinopathies and retinitis pigmentosa. As life expectancy goes up and the population ages, a growing number of people are visually impaired, constituting a public health issue. 1.Wong, W.L. et al. (2014), “Global prevalence of age-related macular degeneration and disease burden projection for 2020 and 2040: a systematic review and meta-analysis”, Lancet Glob Health, 2: e106–e116. 2.Bourne R. et al. (2017), “Vision Loss Expert Group. Magnitude, temporal trends, and projections of the global prevalence of blindness and distance and near vision impairment: a systematic review and meta-analysis”, Lancet Glob Health, September, 5(9): e888–97. 3.Jackson, A., Wolffsohn, J. and H. Butterworth (2007), Low Vision Manual, Elsevier. 4.Daien V. et al. (2011), “Visual impairment, optical correction, and their impact on activity limitations in elderly persons: the POLA study”, Arch Intern Med 171: 1206–1207. 5.Naël V. et al. (2017), “Visual Impairment, Undercorrected Refractive Errors, and Activity Limitations in Older Adults: Findings From the Three-City Alienor Study”, Invest Ophthalmol Vis Sci., 58(4):2359-2365.